With speeds up to 4.3 MPH, this is a fun way for kids to zip around the driveway, complete with electric pedal controls to simulate a real car. 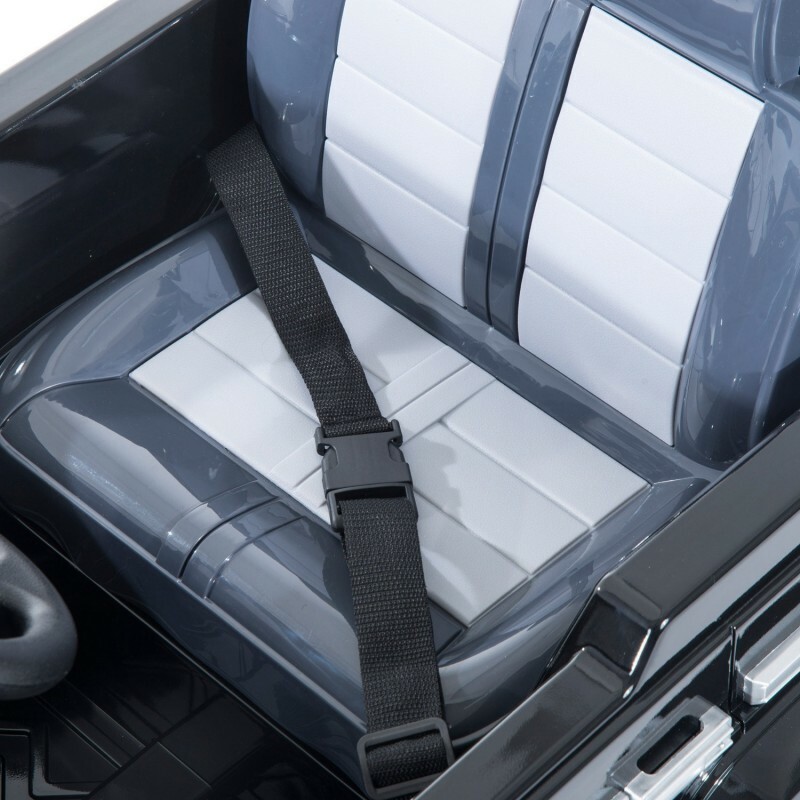 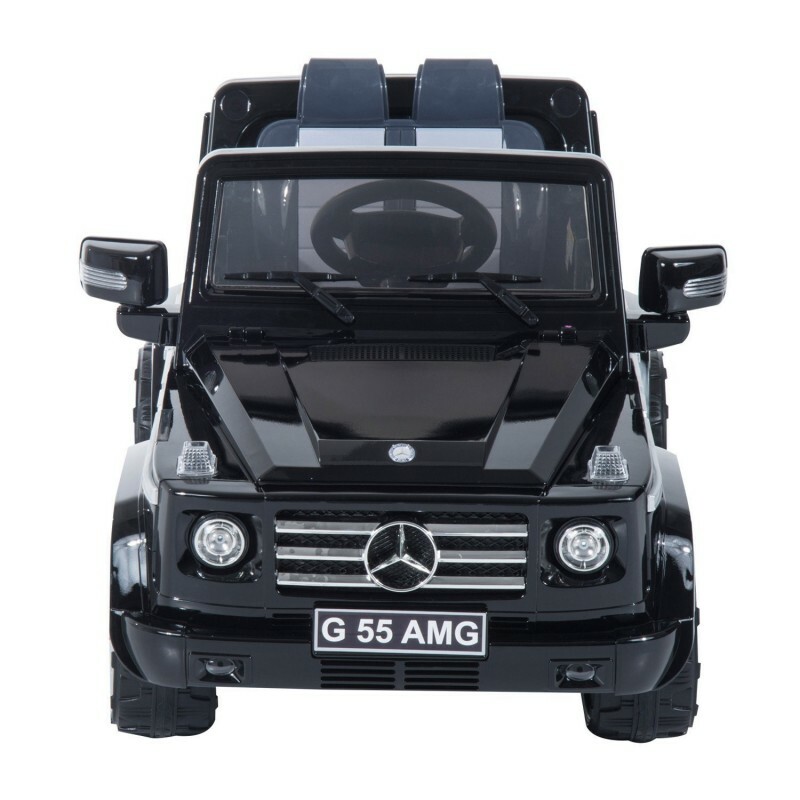 The vehicle allows for a single driver in the front and the chrome hubcaps and deeply treaded hard-plastic wheels allow for a stable ride as your child takes on un-even and rough surfaces. 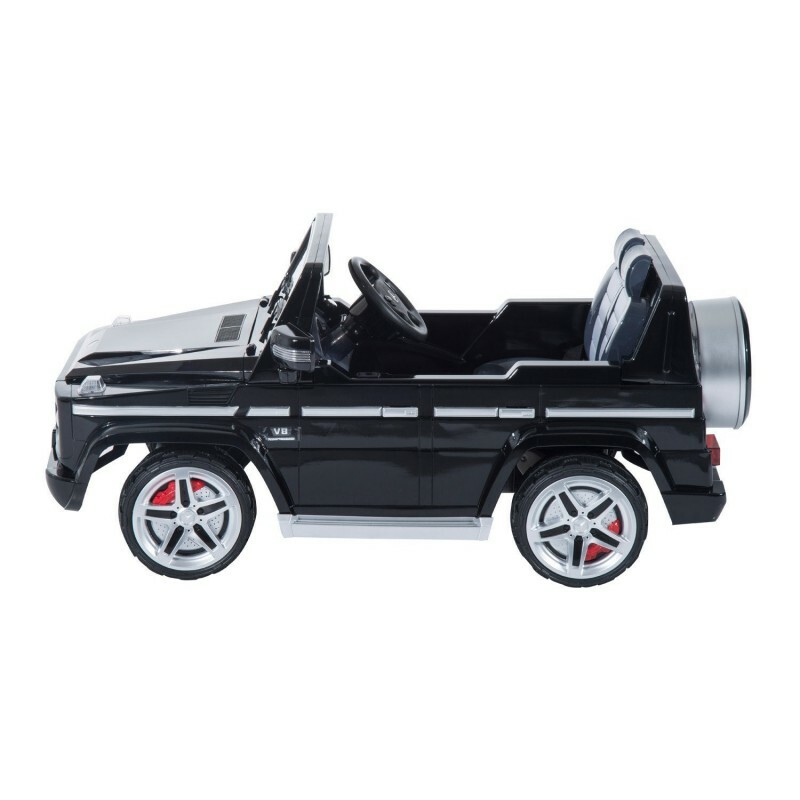 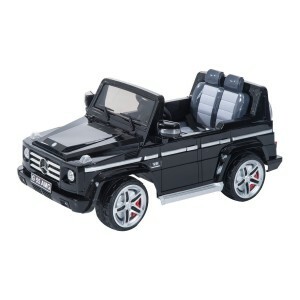 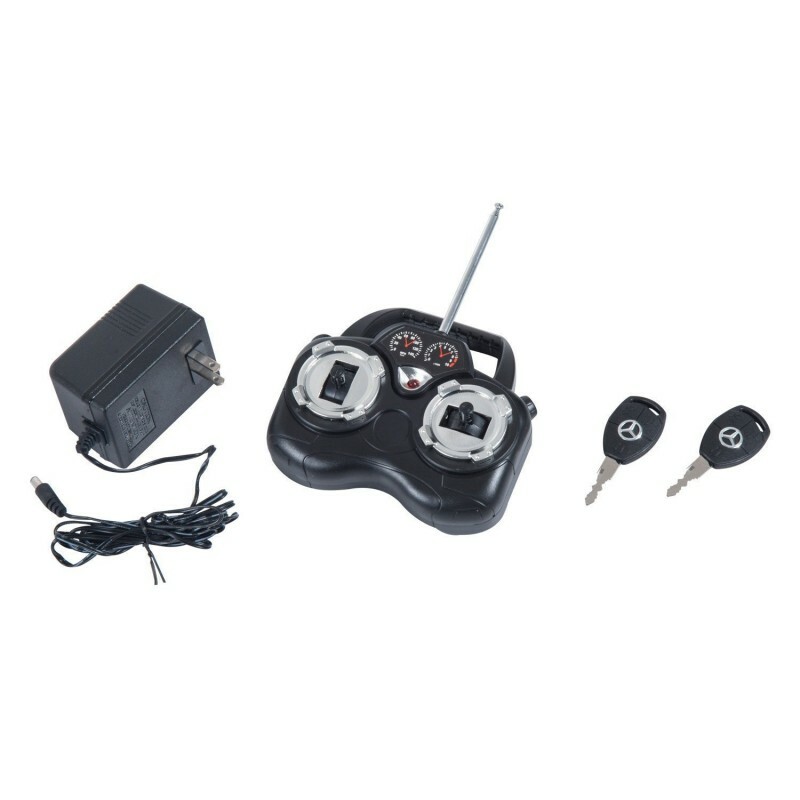 A 12 Volt battery power the car and allows it to keep going, even over the longest of play dates. 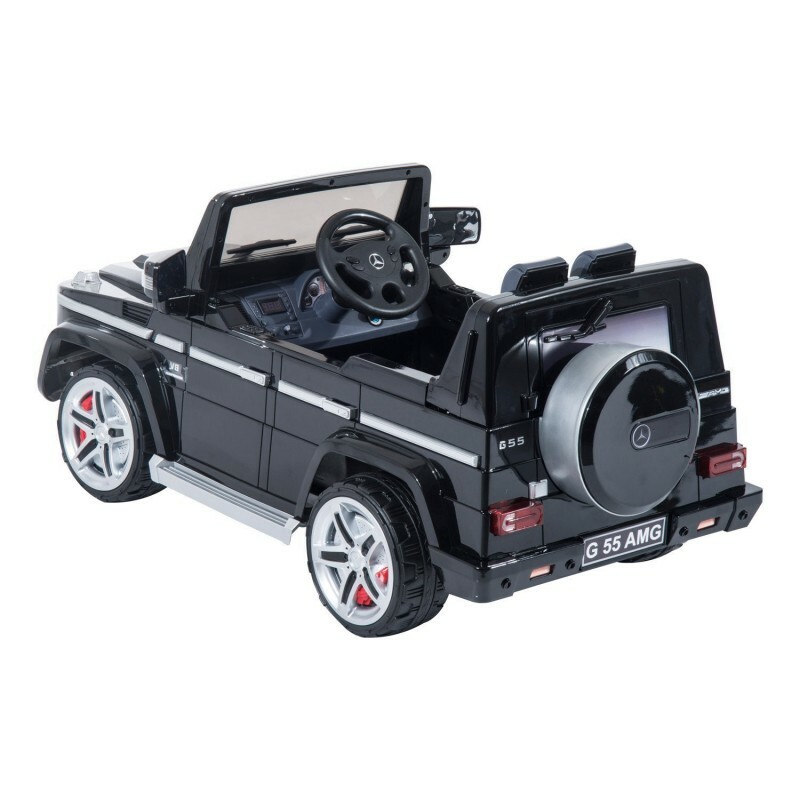 The realistic engine sounds add a fun dimension to the car, and with the included MP3 connectivity you can play your child's favorite music. 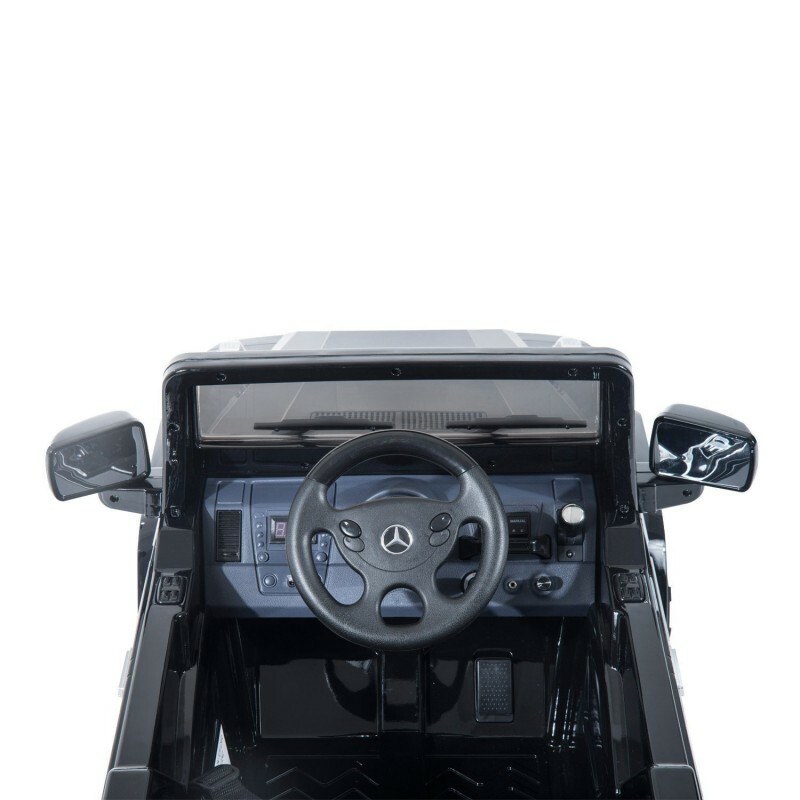 One of the most exciting features is that it includes an additional remote control in case Mom wants to be in control! 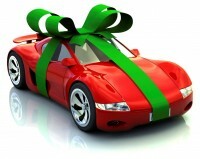 - MP3 outlet to play music while driving.